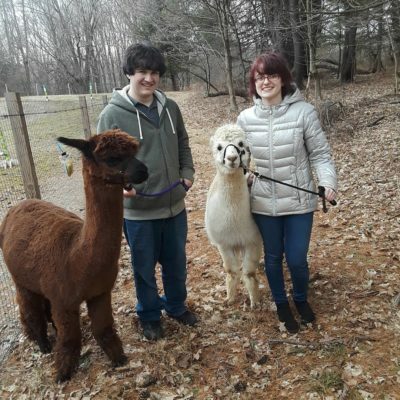 This is a private walk with the alpacas. Only 1 or 2 people in the same party. Here is the kind of opportunity that you have only dreamed about. 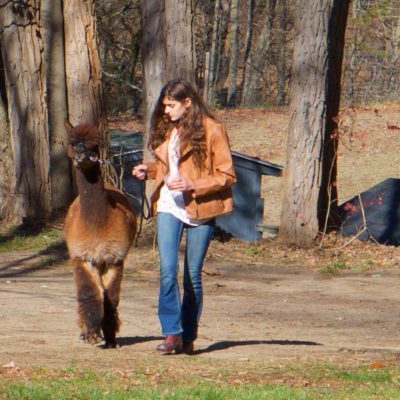 You get to learn how to walk a lovable, adorable alpaca. Don’t you think that you need to put a smile on your face by experiencing this? It is a memory in the making. This is for April 27, 2019 at 9 AM. Please come 10 minutes ahead of time. Walk starts on time.